New. 2011. Paperback. Jack Reacher, adrift in the hellish heat of a Texas summer. Looking for a lift through the vast empty landscape. A woman stops, and offers a ride. She is young, rich and beautiful. But her husband's in jail. When he comes out, he's going to kill her. Her family's hostile, she can't trust the cops, and the lawyers won't help. 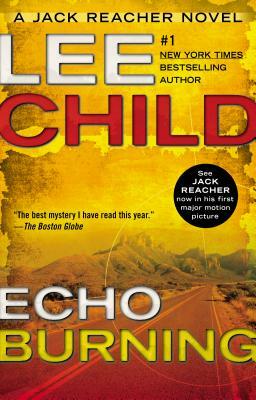 Series: Jack Reacher. Num Pages: 576 pages. BIC Classification: FH. Category: (G) General (US: Trade). Dimension: 199 x 126 x 32. Weight in Grams: 394......We ship daily from our Bookshop. New. 2002. New Ed. Paperback. Jack Reacher is six foot five and dangerous, adrift in the hellish heat of Texas, and looking for a lift through the vast empty landscape. A pretty young woman is alone. Her husband's in jail. When he comes out, he's going to kill her. Her family's hostile, she can't trust the cops, and lawyers won't help. Reacher is her last option. Series: Jack Reacher Novel. Num Pages: 571 pages. BIC Classification: FF; FH. Category: (G) General (US: Trade). Dimension: 178 x 108 x 36. Weight in Grams: 300......We ship daily from our Bookshop.